Pritikin holds exclusive worldwide rights to market the Pritikin name for all purposes other than food related products. 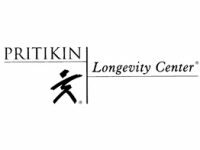 The company’s principal business has been the operation of the Pritikin Longevity Center in Santa Monica, CA which offers short-term residential programs for individuals which focus on nutrition, exercise and disease management. In November 1997, Caltius provided senior notes to Pritikin, facilitating the move of the Pritikin Longevity Center to the Loews Santa Monica Beach Hotel and provided working capital to leverage the Pritikin brand name into new business opportunities.